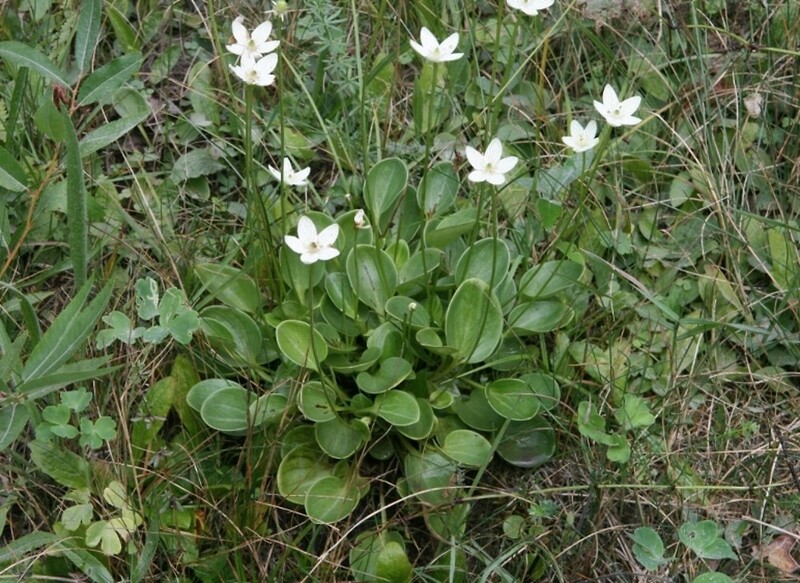 The Parnassiaceae family contains only one species in our region. 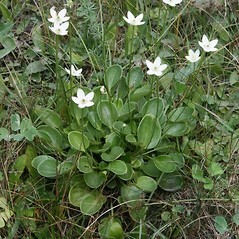 It is a perennial herb with leaves that grow in a rosette around the base of the stem. The leaves have long petioles and are simple. The veins spread outward from a common point at the base of the blade. 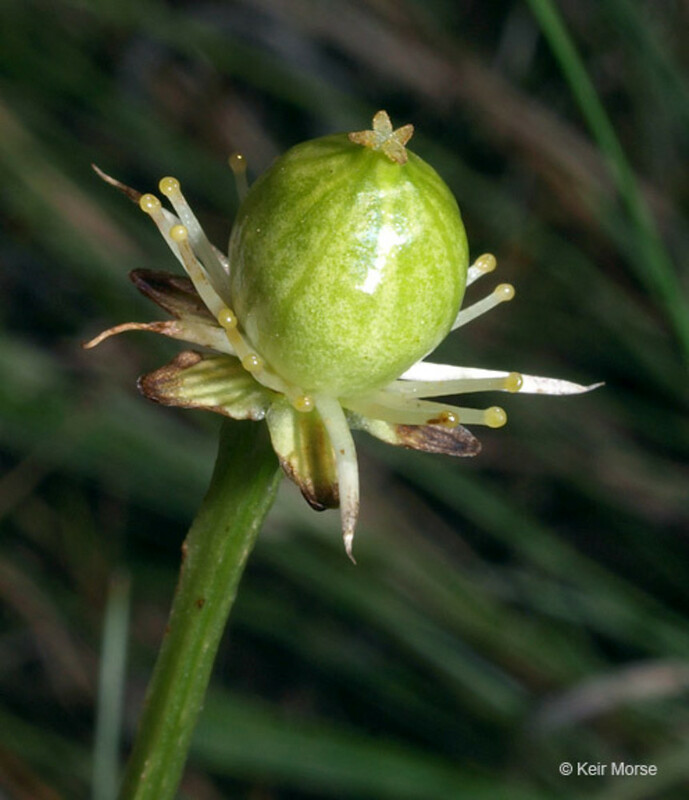 The single flower grows on a long stalk and is actinomorphic (radially symmetrical) with both pollen-bearing and ovule-bearing parts. There are 5 sepals, 5 strongly veined petals, 5 fertile stamens and 5 sterile staminodes that are each divided into 3 or more appendages; these parts attach beneath the ovary (i.e., the ovary is superior). There is 1 style and 4 stigmas. The fruit is a dry capsule that opens by 4 valves to release many small, winged seeds. 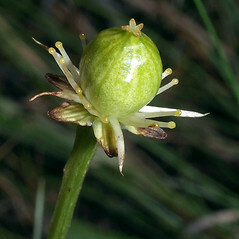 Species in this family were formerly considered to be part of the Saxifragaceae.